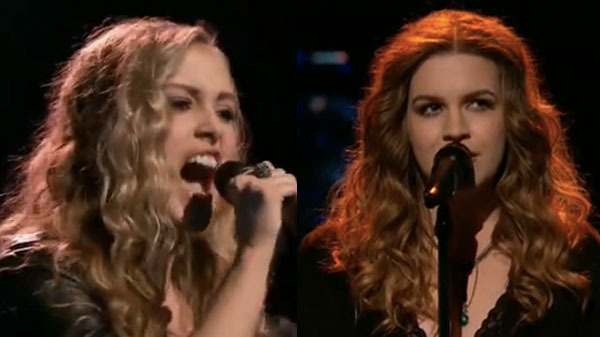 Katie Basden and Lacy Mandigo battled it out for a spot at Team Blake on The Voice Season 10 Knockout Rounds, Monday, March 28, 2016. For their Knockout performance, Lacy Mandigo sings “Zombie” by The Cranberries while Katie Basden does her cover of “Gypsy” by Fleetwood Mac. “Katie, you made the song your own. Lacy, you are phenomenal on the show and you are so talented,” said Blake Shelton. The winner of this battle is Katie Basden, she is moving to the Live Playoffs. Pharrell Williams and Adam Levine are on for a steal, Lacy Mandigo picked Team Pharrell.